Leading Manufacturer of fiber laser marking machine and co2 laser marking machine from New Delhi. Riding on unfathomable volumes of market expertise, we are presenting a range of Fiber Laser Marking System. 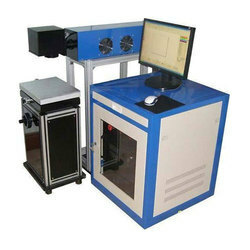 Co2 Laser Marking Machine is gas laser machine. The wavelength Produced is 10.6um which belongs to mid-infrared rays. 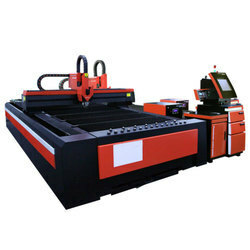 This laser machine is characteristic of a higher power and electro-optical conversion rate. 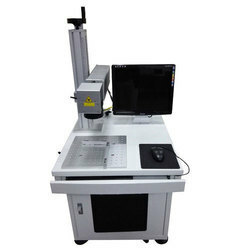 CO2 Laser Marking Machine is equipped with the most advanced international imported fiber laser source which generates powerful laser focused on objects to cause instant melting and evaporation. Automatic cutting is controlled by the digitalized mechanic system. This hi-tech machine has condensed the advanced technologies of the fiber laser, digital, and precise mechanics.